Anyone know why Vietnam performs beyond its IQ (which I believe is around 94)? Could it have something to do with the million strong - according to an old census from 1989 - Hoa (Chinese) minority? "The Hoa were highly represented in Vietnam's business and commerce sector before the Fall of Saigon in 1975. As of 2012, they comprise a well-established middle class ethnic group and make up a high percentage of Vietnam's educated and upper class." Regression to The mean? The test scores are for 15 year olds in 2012, so people born in 1996-97. But that IQ 94 you cited presumably is for the entire adult population, which would include a lot of people who grew up during the war and may have been malnourished as children which I imagine would have a long-term depressive effect on IQ. So that 94 number may be artificially low. I did a comprehensive review of intelligence and achievement data for Vietnam on my Human Varieties blog in 2013. The Vietnamese secondary students tested for PISA 2012 were a relatively elite sample, and Vietnam also had one of the worst attrition rates of participating nations. Finally, the evidence for IQ in Vietnam is tricky, possibly suggesting higher (near European average) scores during adolescence. 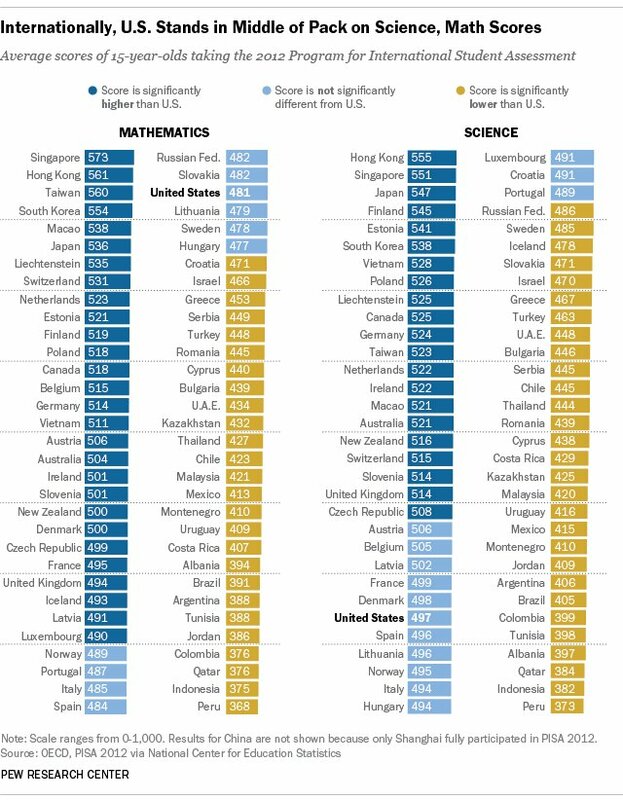 Which would at least be a little more consistent with the PISA results. BTW, my IQ for Vietnam based on six different samples was 91.4. And my IQ for Vietnamese-Americans based on six samples was 100.7. These were by far the best estimates up to 2014 (not 2013, sorry). Lynn's estimate was not based on any data.